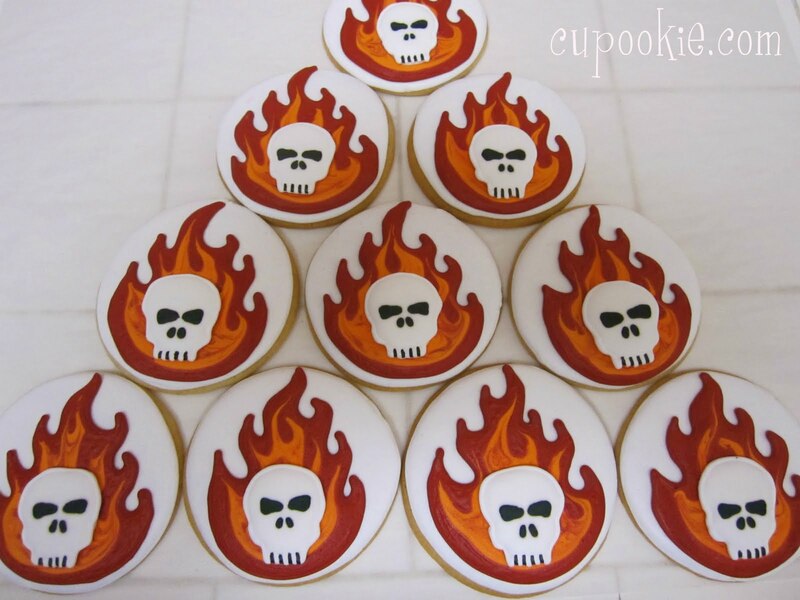 one thing i love is flames & skulls. 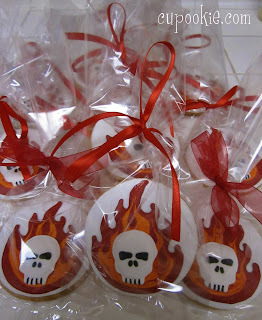 now my house is not decorated in such but i do have a few things that have flames n skulls decorated on it. ive always loved the badass look. 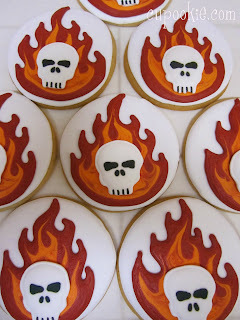 i wanted to do a black cookie with black skull, red & orange flames. well we all know what black icing does to the mouth so i decided to go with white background. 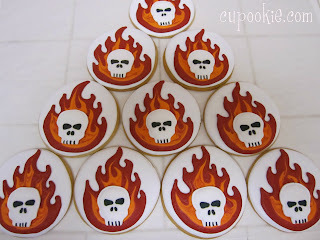 i made some skull royal transfers in black and they just didnt look right on the white cookie. 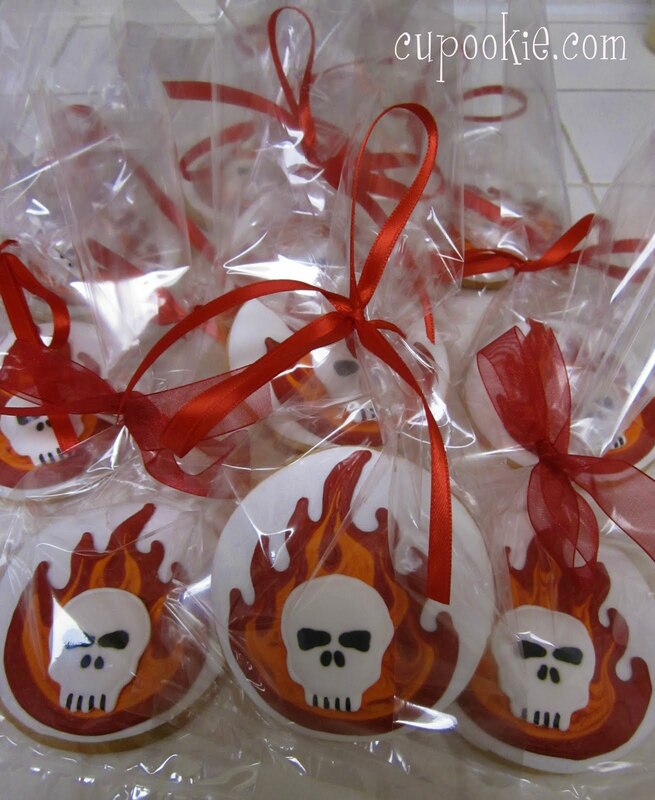 so yes i tossed em and started over and made the white skulls. ahhh so much better. 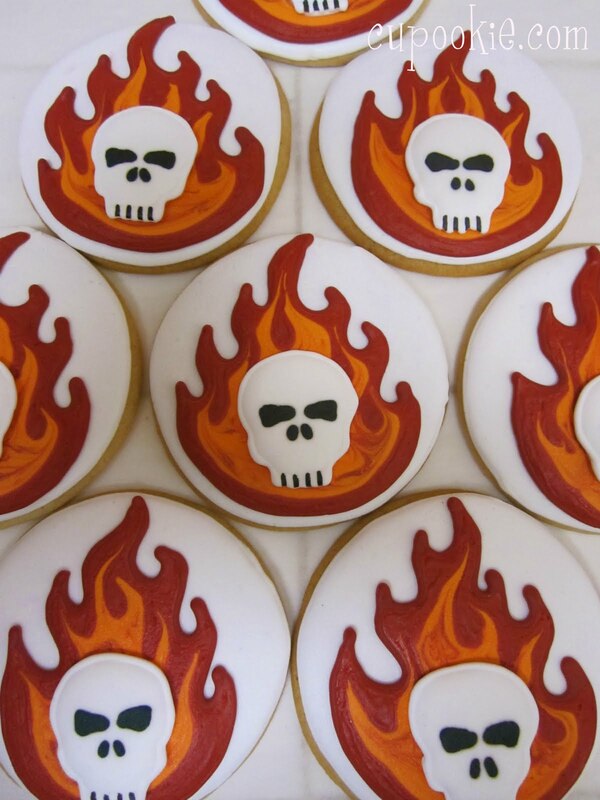 i love this cookie!